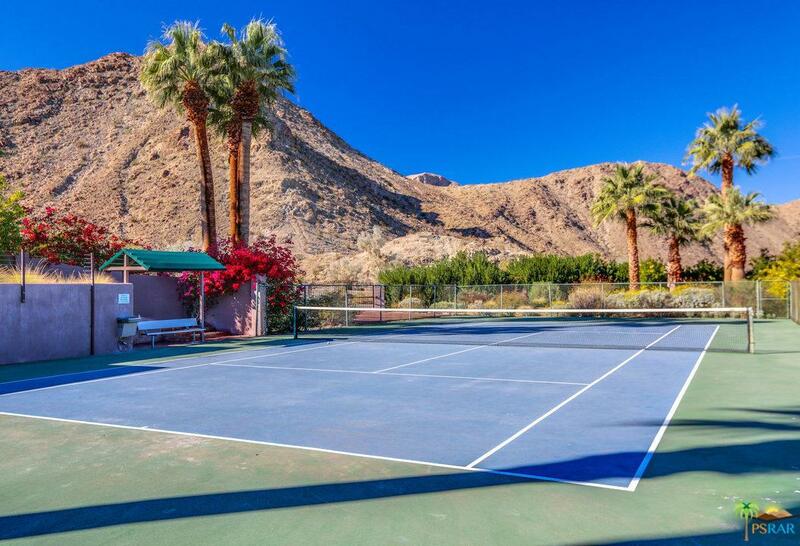 Mid Century Modern tennis compound in Magnesia Falls Cove. Corner lot with almost an acre of private space. Gated. Dramatic views of snow capped mountains, windmills and valley lights at night. Open chef's kitchen with huge walk-in pantry. 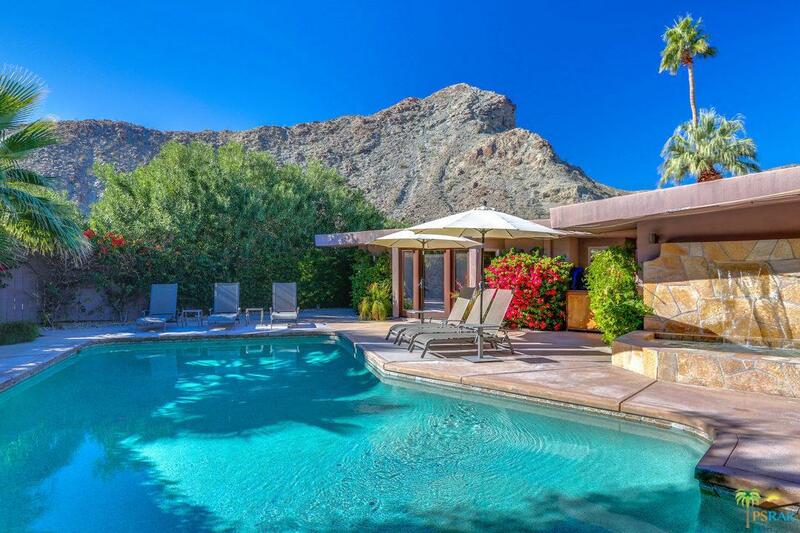 5 en suite bedrooms with great separation of space, including attached casita. 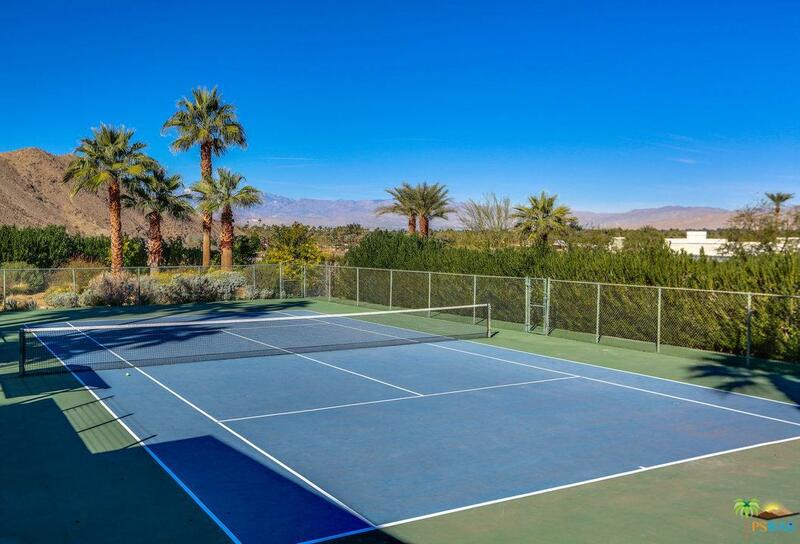 Private tennis court with covered seating and chilled water fountain on the court. Secluded salt water pool, with refreshing waterfall spa. Large entertaining outdoor grill area. 2 covered patios with lots of seating, shade and romantic fire table. Listing provided courtesy of Alvin Greenwalt DRE#01715823 of Keller Williams Luxury Homes and Ted Jarvis CA DRE# 01169378 of Keller Williams Luxury Homes.